Skewer the bananas using a wooden kebab skewer, leaving enough sticking out to use as a handle. Place a large piece of parchment paper on a cookie sheet. Heat dark chocolate chips in a double boiler or microwave, stirring every 30 seconds, until melted. 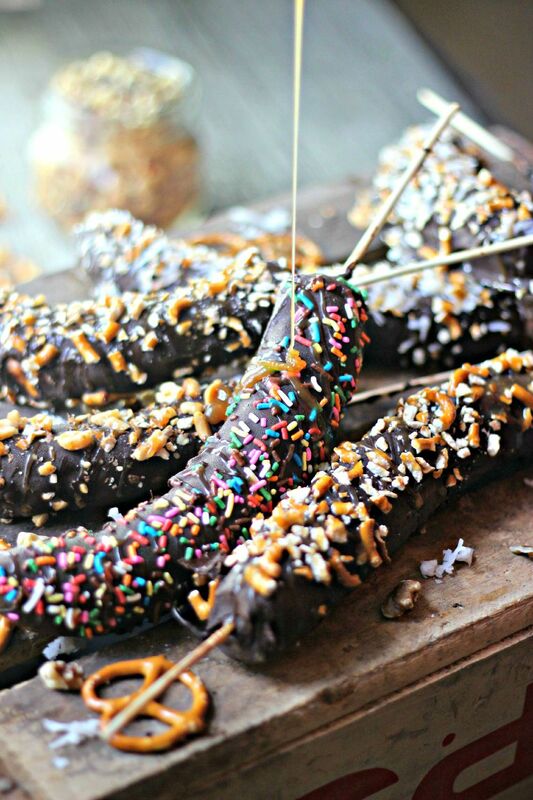 Dip bananas into the melted chocolate, using a spoon to evenly coat the bananas with chocolate. Place the banana on parchment paper. Immediately cover the banana with toppings of your choice. Place in the freezer for at least 2 hours. Serve!